Cannabis Laws in South America | Medical Marijuana Inc. The marijuana industries in South and Central American countries like Argentina, Mexico, Brazil and Chile are experiencing significant growth, thanks to shifts in public attitudes, legislative developments and a greater awareness of cannabis’ medicinal properties. The United States isn’t the only country in the America’s where the cannabis industry is blooming. Countries throughout South and Central America are seeing the expansion of legal recreational and medical cannabis. Marijuana businesses in Argentina are profiting, despite that products containing tetrahydrocannabinol (THC) continue to be banned. Mexico and Brazil are allowing the importation of cannabidiol (CBD) products for suffering patients, and Chile just opened the largest cannabis farm in Latin America. The marijuana industry in Argentina is budding despite that seeds and products containing THC, the chemical in cannabis responsible for creating a “high,” remain illegal. According to CNN correspondent Diego Laje, 20 profitable cannabis grow shops have popped up in the city of Buenos Aires, offering everything needed to cultivate marijuana except for the seeds, and the businesses are banking that legalization will come about shortly. Argentina’s long been opposed to cannabis, but attitudes and legislation are evolving. “The public’s perception of the grow shops is becoming increasingly less prejudiced,” Nelson Díaz, the manager of a local branch of Cultivo Urbano Grow, explained to the PanAM Post earlier this year. The Argentine Supreme Court ruled in 2009 that criminalizing small amounts of drug possession for personal use is unconstitutional. Last Spring, over 100,000 people marched the streets of Buenos Aires to demand legalization. A Supreme Court decision to allow four plaintiffs to legally grow and smoke their own marijuana last November has seemingly stimulated a cannabis revolution in Mexico. A day after the court’s ruling, Mexico City mayor Miguel Angel Mancera introduced a bill that would allow the legal import of medical marijuana. Shortly after, the archbishop of Mexico City voiced his support for medical marijuana legislation and the Mexican government announced it would host an upcoming series of debates through 2016 to examine the risks and benefits of marijuana legalization. A recent Parametría poll found that public support for legalizing marijuana increased from 19 to 29 percent following the court’s decision. Mexico also recently legalized its first cannabis product. In February, Mexico’s Health Department, Cofepris, approved the legal import of Real Scientific Hemp Oil-XTM for two young girls suffering from severe epilepsy. Since then, government officials have approved the import of RSHOTM CBD oil to any of the 126 million people in Mexico with a permit. Just this week, Mexico’s President Enrique Peña Nieto, once an adamant opponent to marijuana, revealed he’s now open to legalizing medical marijuana. The president also said he would support increasing the amount of marijuana people could legally possess for personal use. All the recent developments have citizens wondering if the door’s been opened for legalization for recreational marijuana. Privateer Holdings, a marijuana private equity firm, estimates the legal recreational and medical cannabis markets in Mexico to be worth $1.7 billion annually. While cannabis has long been illegal in Brazil, in 2015 the country legalized the cannabis compound (CBD) for therapeutic use. Medical Marijuana, Inc. worked closely with the Brazilian government to become the first company allowed to legally import CBD hemp oil into this country of 200 million people. So far, the Brazilian government has approved the importation of CBD hemp oil for nine indications, including epilepsy, Parkinson’s disease and chronic pain. 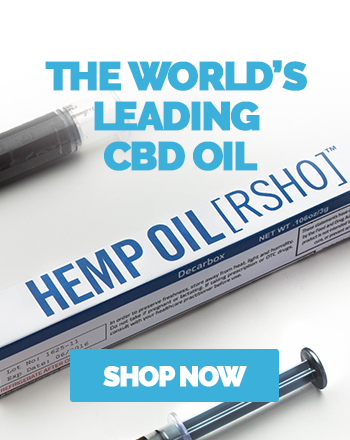 Patients with a doctor’s prescription and approved import documentation from ANVISA can legally purchase CBD hemp oil from a portfolio of nine products by Medical Marijuana, Inc.’s corporate affiliated company, HempMeds BrasilTM. The Brazilian government subsidizes 100 percent of the costs for the imported cannabis products. Throughout the last several months, there have been exciting developments within the cannabis industry in Chile. Since approving a measure legalizing the cultivation and sale of marijuana for medicinal purposes in 2015, the South American country opened the largest medicinal marijuana farm in Latin America earlier this year. Legislation to authorize the cultivation and sale of medical marijuana was passed by the Chilean Congress last December. Under the measure, free medical marijuana is provided to nearly 4,000 patients. The farm, managed by the Daya Foundation and located in the small town of Colburn, is capable of cultivating up to 6,900 plants– enough to treat the 4,000 medical marijuana patients in the country. According to NBC News, Daya Foundation president Ana Maria Gazmuri says the farm is looking to harvest 1.65 tons of marijuana between March and May. The marijuana plantation’s opening came just a month before Chilean President Michelle Bachelet signed a measure to remove marijuana from a list of dangerous drugs. The measure also allows for medical marijuana to be sold in pharmacies, giving patients greater access. A majority of Chileans, especially young adults, is in support of continued cannabis legislation. A 2014 poll by Cadem found that 54 percent of Chileans are in favor of legalizing the cultivation and use of marijuana. A 2012 survey by Asuntos del Sur (Southern Affairs) found that 79 percent of Chilean residents ages 18 to 34 “voiced strong approval” for legalization and 52 percent disapproved of government efforts to reduce drug use.